17 years of age, One head talks German. While the Other at the same time will Speak French on an Entirely Different subject He, or they will talk to you. He or they will shake hands with you he is living and just as represented. 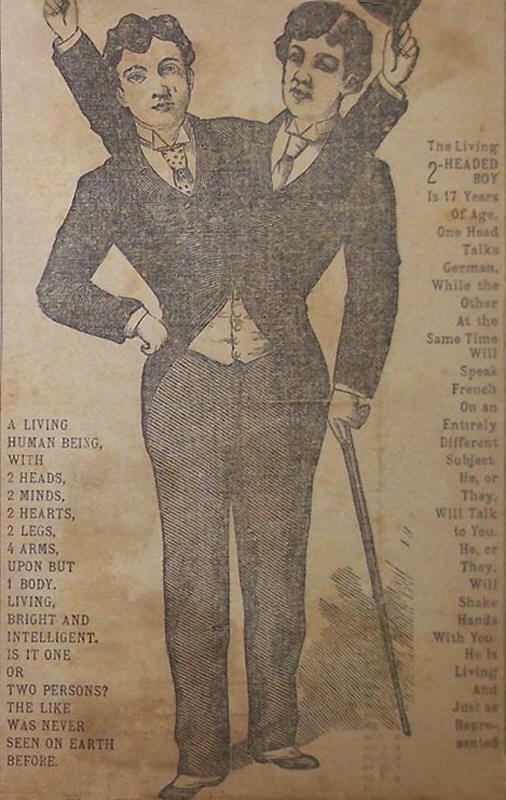 A living human being, with 2 heads, 2 minds, 2 hearts, 2 legs, 4 arms, upon but 1 body. Living bright and intelligent. Is it one or two persons? The like was never seen on earth before.